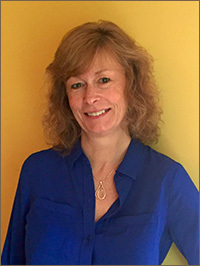 Kim has worked in the field of fitness, personal/athletic training for over 25 years. Kim’s recent acquisition of her AAS as a Physical Therapist Assistant is a result of her recognizing the importance of injury prevention and rehabilitation in the aging athletic body. Kim has a strong interest in returning a patient to a high level of functional performance. Kim has strength trained and conditioned athletes young and old. She has also, developed programs for all ages, focusing on general wellness and exercise with strong elements pertaining to proper body mechanics, muscular balance and injury prevention. She has treated patients with orthopedic, cardiac, respiratory, cancer and neuromuscular pathologies. She has attended numerous seminars and conferences and will continue to further her rehabilitative education to benefit the patients of Saratoga Physical Therapy Associates.